YouTube clips will be included right next to video on-demand content. 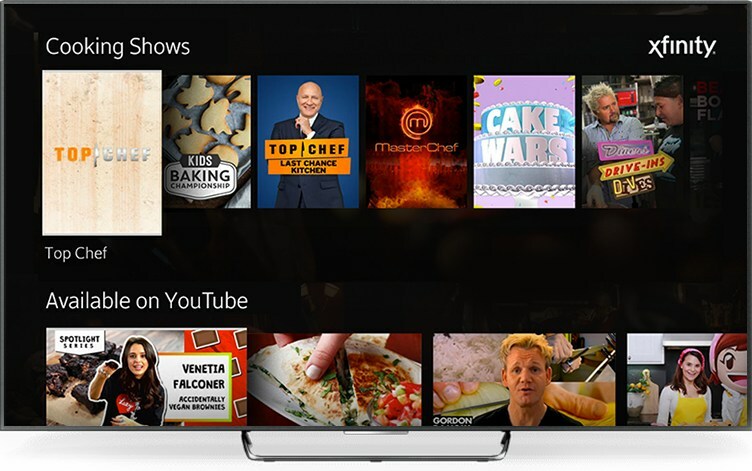 Last year Comcast added Netflix streaming to its X1 platform, and in 2017 YouTube will be next. Once the app is released later this year, customers will be able to search YouTube via text or with the X1 voice remote, and YouTube streams will be integrated with the UI. This means that when you pull up a show like The Voice or the Late Night Show, you might see its YouTube streams listed right along with the regular TV listings and video-on-demand offerings. YouTube is already available directly through many smart TVs and streaming boxes, but like the Netflix deal, this brings access a step closer for millions of cable TV customers. That means more viewers for content like YouTube Red, and a way for Comcast to keep people within its environment without switching inputs. The UI of the app will resemble the usual ten-foot YouTube interface, but search results will work as shown above.